Home Celebrity Entertainment Slider The article mentioned Oscar Winner Halle Berry who is one of the truly beautiful women on Hollywood What do actresses Gal Gadot, Erika Garces, Halle Berry and Priyanka Chopra have in common? What do actresses Gal Gadot, Erika Garces, Halle Berry and Priyanka Chopra have in common? Many famous actresses are obviously strikingly beautiful and were that way before they gained notoriety as movies stars. A lot of them, at least more of them than we imagined, participated in beauty pageants and a great deal of them actually won titles. Recently The Hollywood trade paper Variety, published a piece about some of the beauty queens who have abandoned their crowns and donned the role of actress. The article mentioned Oscar Winner Halle Berry, who is one of the truly beautiful women on Hollywood’s A-list. She was a runner-up in the 1986 Miss USA beauty pageant and hasn’t lost any of her youthful beauty or talent that has made her such a desirable movie icon. Gal Gadot, the Israeli actress known for her roles in the feature films Fast Five, Fast & Furious 6 and Wonder Woman, was a one-time Miss Israel and went on to compete in the Miss Universe spectacle. 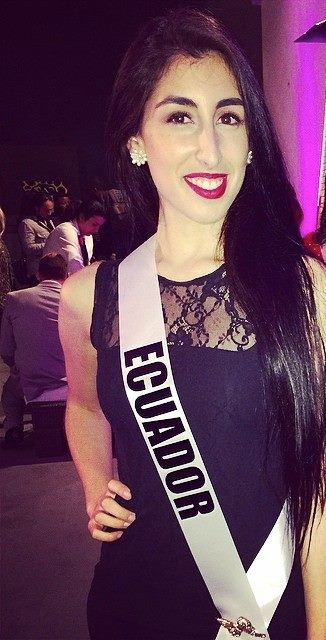 Erika Garces, an Audience Award Winner for her film City of Dreams (she produced and starred in it), was Miss Ecuador in 2014 and went on to participate in the Queen of The Universe pageant in Beverly Hills. We, of course, think she should have won, not only because of her beauty and warm smile but because she is extremely talented on numerous levels. She is a producer, writer and actress. She was on the Jimmy Kimmel Live! show on ABC not too long ago. Some of her films include Distortion, The Hudson Case, Decades Apart and Sensitivity Training to be brief. Other serious actresses, like Ms. Garces, who have become firmly established stars, and competed in “Miss” Beauty Pageants are: Michelle Pfeiffer, who was crowned Miss Orange County in 1978; Priyanka Chopra (known for ABC's Quantico) won Miss India and later won Miss World in 2000; Eva Longoria was Miss Corpus Christi in 1998; Cybill Shepherd was Miss Teenage Memphis in 1966; Sophia Loren participated in beauty pageants in Naples, Italy before going on to win the Academy Award for Best Actress, and last but not least, Aishwarya Rai (known for Baywatch) also won Miss India and Miss World in 1994. There are others who we could have included in this list but, needless to say, we're just sticking to the top ones as we are out of room.